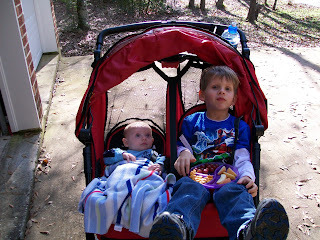 Brady and Dawson in the jogging stroller ready for a jog through the neighborhood. Dawson has always enjoyed going in the jogging stroller and Brady seems to be liking it as well. He loves to look up at the trees.